Despite a stellar cast and a rocking soundtrack, Agynyaathavaasi turns out to be a rather disappointing watch. Trivikram takes an interesting plot and fills it chock full of masala, to the extent that the story of a son’s mission to exact vengeance on his father’s killers becomes lost in the morass of comedy, romance and OTT fight scenes. Nothing too much out of the ordinary for a Telugu film then you might think, but there is simply too much of everything here, making Agynyaathavaasi a clutter of confusion instead of the thrilling action film it could have been. The story (when you can catch a glimpse of it) follows the exploits of Balasubramanyam (aka Abhishikth Bhargav aka Bala aka Abhi!) as he attempts to discover who murdered his father and brother, and then follow through to exact revenge. Abhi (Pawan Kalyan) has been raised in secrecy, allowing his younger half-brother to assume the role of heir to his father Vinda’s pharmaceutical empire. Vinda (Boman Irani) is notorious for always having a Plan B, hence the existence of Abhi who is rather oddly is his step-mother’s favourite, despite his exiled status. Indrani (Khushboo) suspects that her son and husband did not die accidental deaths, and calls Abhi back to discover which of the two aspirants to Vinda’s AB Company were responsible for the deed. Varma (Rao Ramesh) and Sharma (Murali Sharma) have been part of the company since its formation, but neither seem up to the challenge of running a multi-national organisation. Both actors do their best, but with poorly etched characters played mainly for comedic value it’s hard to see why they could ever be in the running as suspects for the murders. Adding more unnecessary slapstick is Raghu Babu as a particularly sleazy office manager whose antics aren’t even remotely funny and who is completely superfluous to the plot. As too are Abhi’s side-kicks, who start off by offering technical support for his scheme to infiltrate the company but end up as a kind of enthusiastic group of cheer-leaders on the sidelines instead. These include Tanikella Bharani as Abhi’s uncle, Srinivasa Reddy and Abhishek Maharshi who all gasp, cringe and applaud at appropriate moments but otherwise have little to do as Abhi smoothly goes about his investigation without encountering too many problems. Naturally there has to be a romance – so why not two? Anu Emmanuel and Keerthy Suresh are the two women Abhi uses as part of his schemes to discover the truth, which goes some way to explaining the mainly superficial nature of the relationships. Still it does mean a couple of songs and a quick jaunt to Bulgaria in between Abhi’s many fight scenes. Outside of this though, the two actors only appear as light relief in between beautifully staged but surprisingly dull fight scenes. Normally the saving grace in these films is the performances of the actors, but almost everyone here, including Pawan Kalyan overact like crazy. The Powerstar doesn’t seem engaged with the screenplay at all for most of the film – not surprisingly perhaps, since I found it difficult to engage with too! There’s a bizarre scene where an insightful police officer (Sampath Raj) starts to postulate on who Abhi could possibly be, and manages to reconstruct the entire sequence of events without any clues, witnesses or evidence to back up his theory! It’s another example of needless frills that hinder the story. A flashback sequence would have worked much better and there was no need to add such speculation, particularly when the police officer involved reported that both Vinda and his son died by accident despite Vinda being shot in the head before he plunged to his death from a high-rise. On the plus side, the music from Anirudh Ravichandler is excellent and suits both the action and romantic sections of the screenplay. The songs are also catchy, but for the most part don’t sit well within the screenplay and most seem to be added rather randomly. Despite this, the choreography is excellent and the locations beautifully filmed. Indeed, overall the cinematography is excellent with some stunning shots of Varanasi near the start of the film. I also liked the attempt to link Abhi’s story to parts of the Mahabharata and the story of Krishna, which helped to fill in some of the back-story that was glossed over rather quickly. There are some terrific performances too in the midst of all the general scenery chewing. Boman Irani is good and Khushboo is notable in her return to the big screen as Abhi’s step-mother and Vinda’s widow. She’s compelling in her scenes and her understated performance stands out in the midst of all the other melodrama. Also very good is Aadhi Pinisetty as the main protagonist, Seetharam. He gets the balance between arrogant brat and murdering megalomaniac just right while looking dapper and well-groomed at every occasion. Despite only a short amount of screentime Aadhi is impressive and makes an excellent villain once again. Agynyaathavaasi is simply too uneven to be anything other than a one-time watch. Although there is a good basic storyline, the added fluff and masala buries it too deep and not even the excellent production values can keep it from sinking under all that weight. Although Khushboo and Aadhi along with Anirudh’s music and V. Manikandan’s cinematography are worth seeing, this is really a film best for fans only. 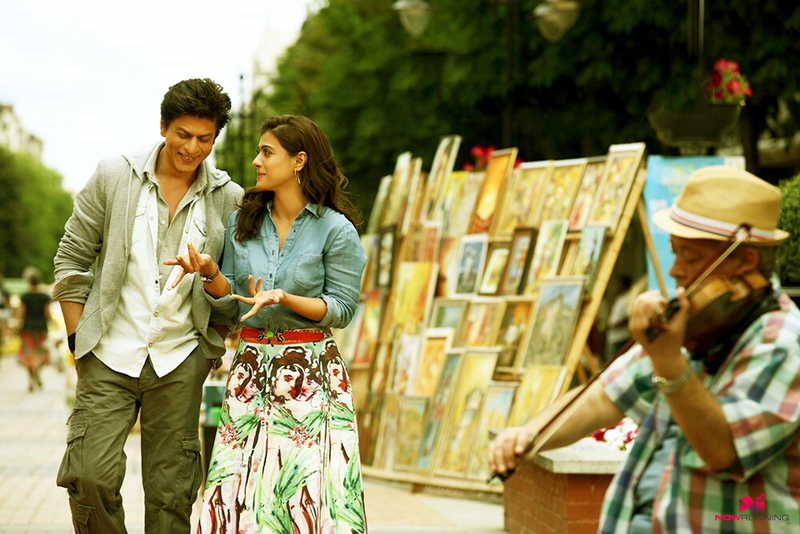 Kaali (Sharukh) and Meera (Kajol) fall in love. Kaali tells Meera he is a gangster, son of don Randhir (Vinod Khanna). Meera tells Kaali she is an artist and they do lots of picturesque and cutesy romancing. But Kaali finds out there is more to Meera than being a simple artist. Eventually they part and go their own ways. Fifteen years later, Veer (Varun Dhawan) meets Ishita (Kriti Sanon) and they fall in love. Veer is Kaali’s little brother, although Kaali now calls himself Raj and is a simple mechanic and car modifier. Ishu’s big sister? Yeah. 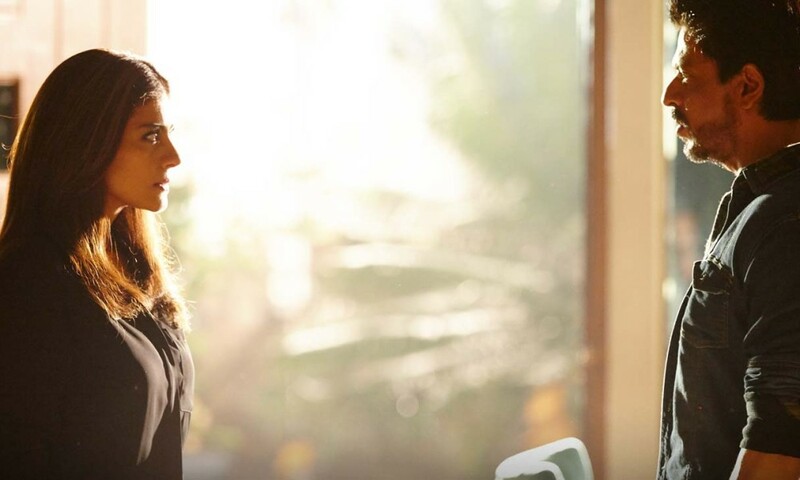 Will Veer and Ishu ever get together in the face of such strong family opposition? And why did neither Kaali nor Meera ever move on and marry someone else? 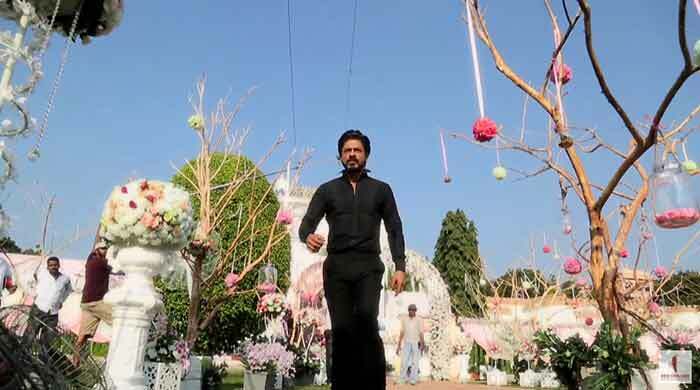 My love for Shahrukh goes way, way back, and I was not disappointed at all by him in Dilwale. I’ve always liked him most in roles where he is not too sugary sweet. I particularly liked the moments when, as Raj, he let the calculating menace of Kaali show through. He seemed completely at home in his character’s skin without looking like he’d phoned this one in. The fight scenes showed Kaali as a relentless and brutal machine. Careful angles and editing made it seem as though Shahrukh was doing all his own work in the action sequences so there was no break in the dramatic tension. I’m sure his stunt guy was working overtime but I think they’ve done a great job when it is hard to pick who is who. His stylist also did a great job of making the 15 year gap between timelines seem believable. Plus I enjoyed the double layered linen shirts, sometimes matching or in a monochrome mix, and always with a hint of cleavage. Well done, that person. Like Kaali there is more to Meera than meets the eye, and Kajol is fantastic. She looks great and gives Meera a tough femininity that really works. Of course she has amazing chemistry with Shahrukh, and I think the film should have concentrated on their story. 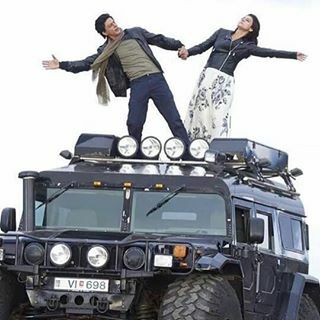 Kaali and Meera were like Romeo and Juliet who had survived and moved on in life, if not emotionally. I was more interested in what they had been up to since they last met, how they went legit, and what would happen next, than I was in Veer and Ishu’s sincere puppy love. One thing that I really liked is that the women drive the pace of developments in their relationships. Raj/Kaali told Meera she had got him all wrong. She didn’t budge just because he looked sad (and hot), but when she was ready she investigated further and she listened to the evidence. Varun is pleasant, can dance, is good in action, but his dialogue delivery was odd. It sounded Shatneresque. Mumbled! And! Like! He! Spoke! With! An! Exclamation! He seemed to be pushing to make his action bigger, but instead it looked like his timing was off. His best moments were one on one with Shahrukh as the brothers dealt with the rocky road to true love. In one scene they are laughing through tears and it was genuinely touching, and then later a grim looking scene turned to sheepish laughter. I’d like Varun to do more action centred roles as I think he’d be great in that genre. Kriti Sanon seems to be eminently qualified to be a romantic lead by virtue of not wearing much. Her acting is not offensively bad, but like Varun her shortcomings were all the more evident for the contrast. She fares better in scenes with either Shahrukh or Kajol as maybe she had something more to work off where Varun was a bit patchy. Vinod Khanna and Kabir Bedi played Kaali and Meera’s respective fathers. They were charming and pragmatic, loving their families and hating their enemies with equal vigour. The stuff revenge sagas are made of. Shetty’s taste is hit and miss for me. The audience I saw this with was in stitches at the excruciating wordplay from Oscar (Sanjay Mishra). I loved the montage of lies that Anwar (Pankaj Tripathi) and Shakti (Mukesh Tiwari) spun, using snippets from what was on TV, to cover up Raj’s past. Veer cheekily does the SRK arms flung wide and lean when he needs help, channelling his inner filmi hero, and knowing that pose never ever fails. But when Mani (Johnny Lever) turned up in a fro, lungi, and mesh vest, masquerading as a South Indian thug I couldn’t understand why Shetty thought it was OK in Dilwale when he’d largely avoided such nonsense in Chennai Express. Boman Irani has settled comfortably into a half-arsed overacting groove that belies his abilities. There are lots of little references to DDLJ and other films from Love, Actually to Dude, Where’s My Car, and some laugh out loud lines so it pays to pay attention. I was dying to see Gerua. I’ve recently been to Iceland and had visited several of the locations, not knowing Dilwale had been shooting there earlier in the year. I can assure you that the countryside really is THAT spectacular. Janam Janam is lush and full of longing, and showcased Kajol and Shahrukh’s chemistry with some age appropriate choreo. Varun got the best intro with the colourful Manma Emotion Jaage. Tukur Tukur plays over the end credits so if your audience is as annoying as mine was, you’ll probably just see a line of people’s butts shuffle past! The difference in style between Kajol and Shahrukh and Kriti and Varun is really evident as the youngsters act at the camera while the established stars know exactly where the camera is, but also know it will find them so they just do their thing. 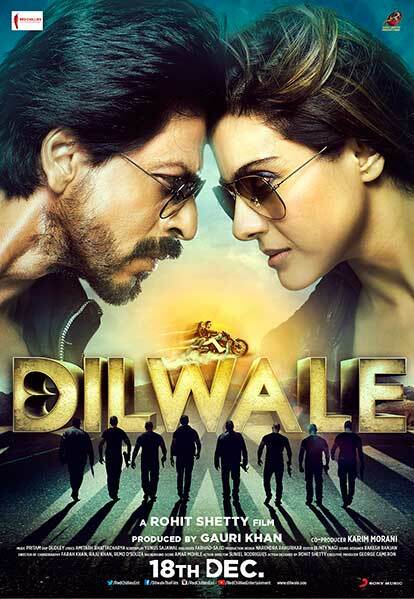 This is definitely a good bet for the SRK or Kajol fans, but for others maybe not so much. 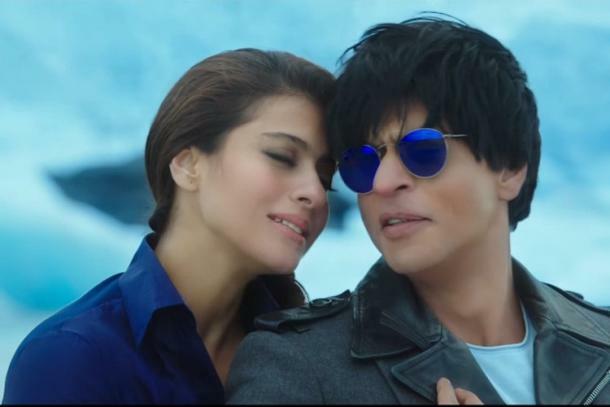 I do think Dilwale delivers on the promise of being (fairly) entertaining, gorgeous to look at, and with loads of energy, but it falters when the film moves away from Raj and Meera. One I’d watch again on DVD and make judicious use of the fast forward button!